This blog post is to share a Polaris tip to download static files from the server to client. Yes, it’s a HTTP web server built using Polaris module which is a cross platform. Refer Polaris docs if you are new. out requirement is to download any static files. For that we use the New-PolarisStaticRoute public function. However, the current implementation (Polaris 0.2.0) doesn’t support our requirement. So, we will tweak a bit to play around. There are few folds which needs to be addressed – To begin with let me show the quick work around to download a file from the static folder. Here is my root folder (project) set up. New-PolarisStaticRoute -RoutePath "/MyFile" -FolderPath "./downloads"
If you have CSV, PDF or ZIP – it will download and files like XML, JSON and HTML will render on the browser. Indeed, betterment is required which I am planning to work later. 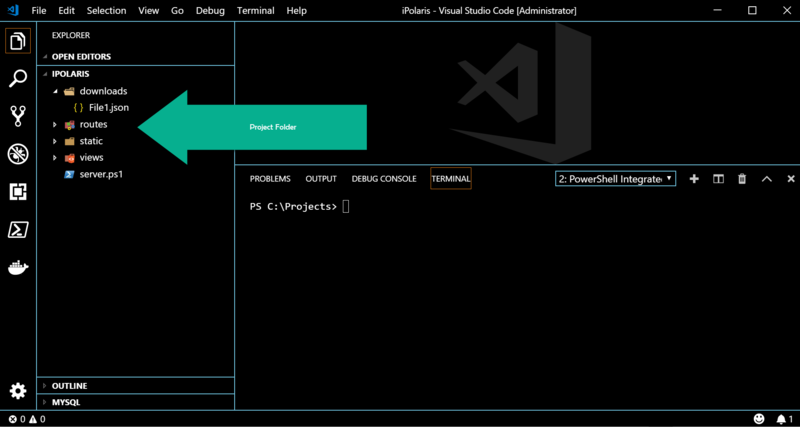 ⟵Build web app using PowerShell PSHTML module in Go Lang!